Relocating your life to a new home can be stressful, especially when you consider all of the tasks that need to be accomplished for a smooth transition. One way to reduce your anxiety is to hire a team of professional movers. 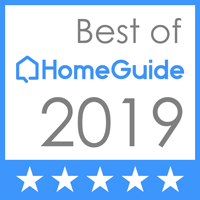 Abe Lincoln Movers is proud to be among the best moving companies in Colorado, drawing on years of experience and positive customer outcomes to deliver the best services possible. Our local movers are here to help you with quality residential moving in Denver, Fort Collins, and everywhere in between. We’re here to be your all-in-one source for needed moving services, but our scope of help can only reach so far. 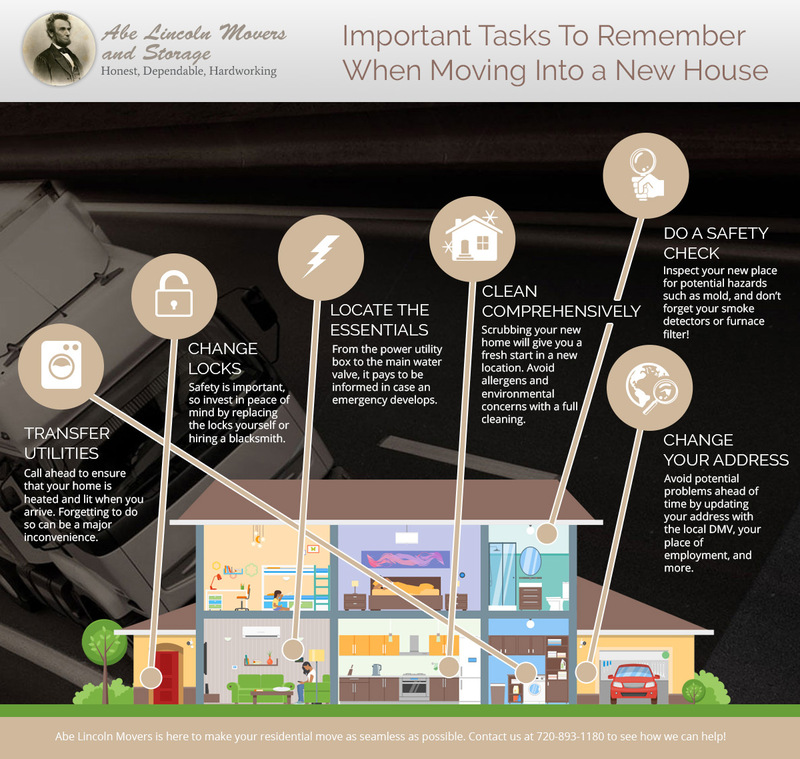 Read on to refresh yourself on a few key tasks that should be done when moving into your new home. Transferring Utilities. It’s essential to plan ahead when planning your utility transfer. Balancing the timing of exiting your old home’s plan and embracing the setup for the new place will save a lot of stress. Be sure to do this, or you may move into a home without lights! Changing Locks. You can never be certain who has the keys to your current lock system, so be sure to place this high on your priority list! Replacing the deadbolts yourself can be very affordable, and calling a locksmith to rekey your existing locks may prove equally cost-effective. Locating Essentials. Becoming familiar with the location of vital components in your new home, such as the circuit breaker box and main water valve, may prove very beneficial. Unplanned emergencies, like overflowing toilets, can create a serious problem! Comprehensive Cleaning. Despite the cleanliness from selling or leasing your place, it can prove helpful to perform your own deep clean. Starting fresh in a new space should focus on you and your family, not the germs and grime from previous tenants! Changing Your Address. One major task that often goes neglected is the process of switching your official address to the new location. This should be done ASAP to avoid any setbacks! Fortunately, most of this can be accomplished online. Don’t forget to change your location with your bank, DMV, place of employment, and more. Checking for Safety. During the clean phase, it’ll pay big to do a once-over on your new place for safety concerns. This process can include checking the dryer vent, smoke alarms, and each room in detail for concerns such as mold. It pays to be familiar with your home, so be sure to inspect the place from top to bottom to acquaint yourself with the unique needs of the property. While there are numerous tasks outside of this list that should be accomplished during your move, we feel that this combination is the best place to start. Moving is a big undertaking, and one that should be done with proper planning for an optimal outcome. Hiring a moving company is one surefire way to make your life easier during this stressful transition process. For more than a decade, Abe Lincoln Movers has provided honest residential moving across Denver, helping citizens from Colorado Springs up to the Fort Collins area. Contact us today to see how we can help!